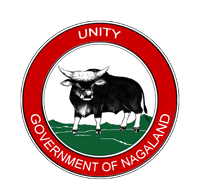 The Nagaland Hotels Limited was set up in the year 1982 as Government of Nagaland Undertaking with its 1 Board of Directors Meeting held on 29 March 1983 as a Subsidiary Unit of NIDC. Hotel Saramati, Dimapur was set up on 9 March 1987 and Hotel Japfu, Kohima was set up on 14 November 1988 respectively. Nagaland Hotels Limited is run under the chairman and headed by the Managing Director . Nagaland Hotels Limited offer 25% discount to State Government employees and 10% discount to Corporate. During April 2015 to January 2016, the inflow of guest in Hotel Saramati, Dimapur was 3750 (3706 domestic and 44 international) and the inflow of guest in Hotel Japfu, Kohima was 5223 (5196 Domestic and 27 international). Occupancy rate was 65.65 % in Hotel Japfu and 36.04% in Hotel Saramati. To provide leadership and play a catalyzing role in the development of hospitality infrastructure in the state and to achieve excellence in its strategic business units through professionalism, efficiency, and value for money and customer focused service. • To construct, takeover and manage new and existing hotels, Traveler’s Lodge, Restaurants, etc. • To provide transport, shopping and convention services. • To provide entertainment by way of cultural shows, dance, music, etc. 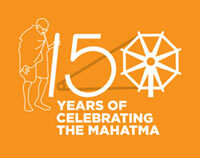 • To provide shopping facilities to tourist, establish and manage shops, etc. To collaborate with state Government, Public Sector Undertakings, Private Entrepreneurs or any authority or agency having objects all together or in part similar to those of the Company for the purpose of development of hospitality, hospitality related infrastructure, facilities and services etc. The Management of Nagaland Hotels Limited is vested with a Board of Directors notified by the holding Company, NIDC from time to time. The State Govt. appoints the Chairman of the Board of Directors.